Thanks to Rob for linking this on Facebook. The folks from io9 put together a list of "must see" scifi flicks. Science fiction has rocked cinemas for a century, and the genre has produced many undisputed classics during that time. But which movies are essential viewing for anyone interested in the genre? We broke down the 25 must-watch science fiction films. But most of all, we looked for films that would represent science fiction well to a new audience and totally rock a neophyte's brain. I've seen 16 of the 25 movies on the list end enjoyed them all. Some more than others, true, but I don't feel one can go wrong with giving most of these films a shot. I've seen 20 of those movies and I agree with most of their choices. However, it is absolutely appalling that they included E.T. in that list. I'm very glad they included Primer though. It's a largely unknown masterpiece that requires/benefits from several viewings. I agreed with many of the picks, but some of them weren't that great, in my opinion. I would have liked to see some of the really good lesser-known movies on there, such as Hardware. I liked the list, but I still fill a number of other films should have been up there. All in all, maybe a bit too much of big Hollywood titles. But still, by and large, a pretty good list. I had seen all but five. Here are a few of my faves they overlooked. Zardoz OK, maybe not that one but it is freaky. I've never seen a list of this sort that gets universal agreement - probably no such list ever could, same as with books. They're fun to read and consider though, and to comment on. I don't see how "A New Hope" can be omitted, when it revolutionized the genre and made it popular to a mass audience, dragging sci-fi out of its sneered-at doldrums that we can no longer imagine. As a documentary about sci-fi movies I watched succintly put it, after 1977 "everything changed". 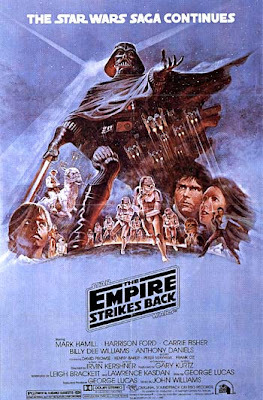 "Empire" is certainly the best SW from a critical standpoint and has been used as the ideal model for sf/f sequels ever since, but it didn't have the first movie's immediate impact. I loved "Tron" and look forward eagerly to this year's sequel, but it shouldn't be on the list. It was dismissed by audiences and critics alike when it was released. I can't see a solid argument for saying it stands up as a classic of the genre or was a strong influence upon it. First of its kind, but is that enough? "Primer" is virtually unknown to most audiences. Was it influential? Should you point a non-genre fan to this one as a must-see, when a huge number of genre-fans haven't even seen it? It's the sort of movie I'd expect its fan to squeeze into his list when he just can't help himself, instead of viewing it objectively. Think of what had to be omitted to include it. Making "The Incredibles" eligible for this list opens a huge can of worms, making every super-hero movie a candidate. Now you have no grounds to overlook the original "Superman", "The Dark Knight", etc. It shouldn't be there for that reason, to simplify things. "The Iron Giant" would be excusable by comparison (and would have pleased me, but now I'm the one who's subjective). Every time you get too close to the present, its best to omit the last five years otherwise these lists lose all sense of perspective. Modern classics are virtually impossible to identify even when they stare you in the face. Just being a good or popular movie isn't always enough to reach an a list of movies for the ages. "Moon" will probably be forgotten, and possibly "Children of Men" as well, in comparison to "Jurrassic Park", "Avatar", etc. - regardless of more generic storylines or any other excuse for why some obvious choices didn't make this list. Uh, yeah, Eternal Sunshine of the Spotless Mind... By all means, let's be quirky and original... I've seen fifteen of those, as well as more than a few others that should be there, but aren't. Like, for example, Dark City. I've seen all of them but Inception and Moon. Most are worth seeing, but I cannot see how a serious "must watch" list would leave off Dark City, Gattaca, Solaris (the first one), and Soylent Green. I just watched Gattaca again tonight. I is certainly better than some on the list, like Tron. Solaris, La Jetee, Stalker... Donnie Darko for a newer one......?